Amoxicillin is a broad-spectrum semi-synthetic penicillin bactericidal in action for use in cattle, pigs, sheep, dogs and cats. In vitro it is effective against a wide range of Grampositive and Gram-negative bacteria. 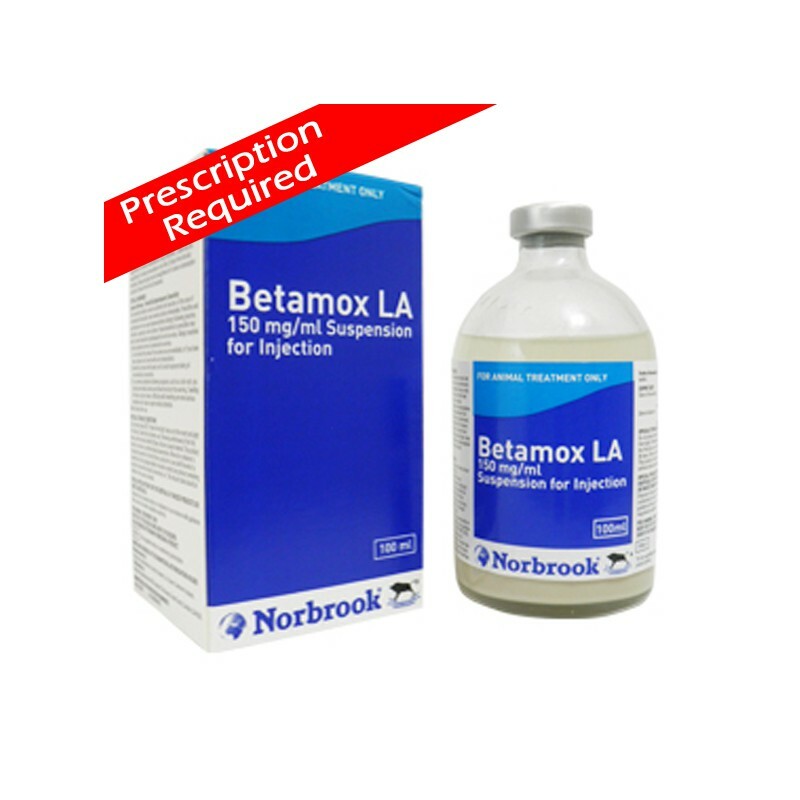 Amoxicillin is a broad-spectrum semi-synthetic penicillin bactericidal in action for use in cattle, pigs, sheep, dogs and cats. In vitro it is effective against a wide range of Grampositive and Gram-negative bacteria which include: Escherichia coli, Klebsiella pneumoniae, Proteus species, Salmonella species, Staphylococci and Streptococci. 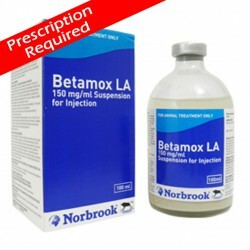 Betamox LA 150mg/ml Suspension for Injection is suitable for the control of infections, due to susceptible micro organisms, in cattle, sheep, pigs, dogs and cats where a single injection giving prolonged activity is required. It may also protect from secondary bacterial invasion by sensitive organisms in cases where bacteria are not the initial cause of the disease. Indications include infections of: a) Alimentary tract. b) Respiratory tract. c) Skin and soft tissue. d) Urogenital tract. e) In prevention of post-operative infection (treat before surgery).